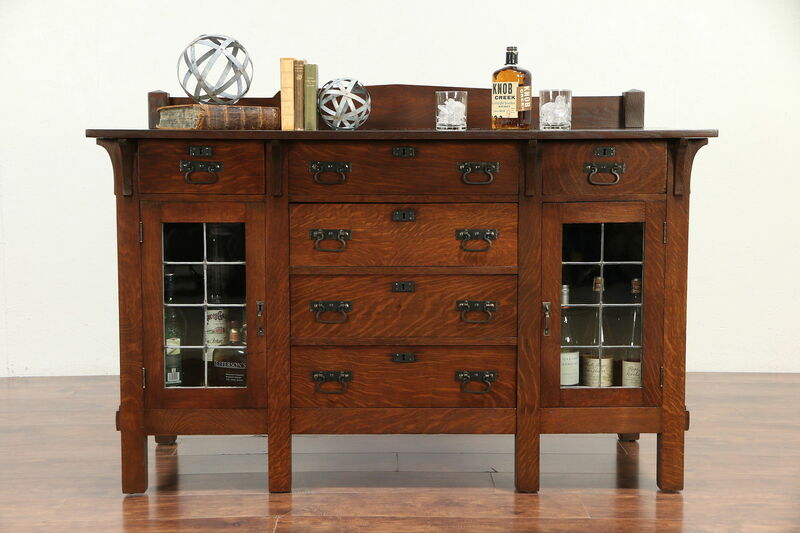 A sideboard, server or buffet from the Arts & Crafts or Mission Oak period about 1905 has old wavy hand leaded glass panes. Solid quarter sawn oak, the wrought iron hardware is original. There are mortise and tenon joints on the sides. The restored deep finish is in excellent condition on this American made antique Craftsman furniture. Drawers have dovetailed joints. Doors only have working locks and a key. Measurements are 60" wide, 25" deep, 41" tall and the top is 36" high.